The National Quilt Register is an online database and central resource for the Australian quilting community. It provides digital access to quilts held in public and private collections throughout Australia. The original register originated from the work of the Pioneer Women's hut in New South Wales and launched in 2001 as part of the Centenary of Federation celebrations. It was made accessible via the Australian Museums and Galleries Online project and was hosted by the Powerhouse Museum. It was subsequently archived on Trove in 2014 and we lost access to its contents. 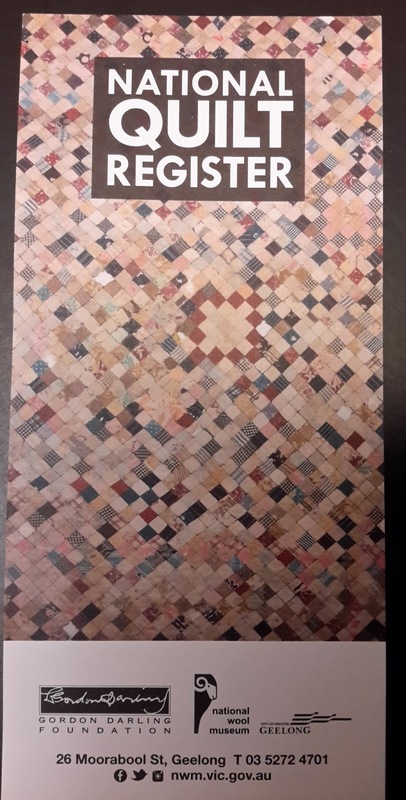 The new version of the National Quilt Register was launched in June 2017 at the National Wool Museum thanks to a grant from the Gordon Darling Foundation. The National Wool Museum is delighted to be able to re-establish this valuable resource for the quilters of Australia. 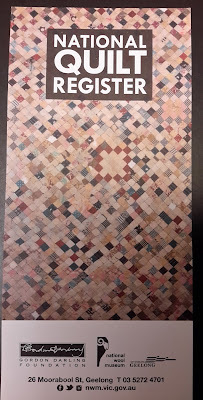 During this first stage of register redevelopment, the National Wool Museum invites quilters to add their quilts to this evergrowing public database, as well as provide feedback on how the register can best serve the quilting community and the general public.